Combining spacious electronica and elements of ambient post rock, Eoin French is the dexterous musician producing work under the name Talos. Deriving his stage name from the fabled gigantic bronze automaton said to protect the Greek and Cypriot Isles from pirates and invading forces, French’s music is suitably monolithic and epic in scale yet washed in emotion and care. Last year saw the release of his debut album ‘Wild Alee’ through Feel Good Lost. The writing and recording process saw French undergo a series of stages of isolation, starting in his attic at Dublin before travelling to the frosty climes of Iceland and finally the drastic stretches of West Cork. It isn’t a huge stretch of imagination to see how being placed in such remote situations informed the music, as sparse yet deftly executed introductions and verses give way to huge rises of sound capturing the feeling of walking alone only to find yourself presented with a magnificent glacial expanse or cinematic Irish skyline. French has returned this summer with his new single ‘Kansas’. Taken from the forthcoming EP ‘Then There Was War’, ‘Kansas’ is a euphoric dive into a more distinctively electronic sound that sees French layer repeating vocal samples with a rousing drum loop and keys borrowed straight from classic 90’s rave. The song ends with a poignant fade out of arpeggio synths and a heartbreak like pulse, a return to French’s signature soundscape style. Given, the depth and complexity of this first track, you can be confident that ‘Then There Was War’ will be a compelling listen and we eagerly awaits its release. Talos has announced upcoming headline dates across the UK for November which are on sale now and give you the chance to experience the awe-inspiring effect of this most talented rising musician live. Talos tickets are currently on sale. Stereo Honey are the London based quintet electronic pop band currently the subject of a hell of a lot of well-deserved hype. Combing the talents of Jake Black (Drums), Pete Restrick (Vocals / Guitars), Nicky Boiardi (Guitars / Keys) and Ben Edwards (Bass); the lads producing a strong output of releases over the past year and look just about ready to release their highly anticipated first full-length record. Formed by school friends Boiardi and Edwards after previously playing in a punk band with Restrick, the three decided on taking a new direction which encompasses their many influences and took Black onboard after auditions. Although centred around pop, their music is more nuanced than simple chart chasing dancefloor fillers and sees them draw upon a wide sphere of sound including Italo disco, new wave and slick R&B. These various styles were compacted into such compelling singles as ‘Where No One Knows Your Name’, ‘The Heart’ and their incredible EP ‘Monuments’ released in 2017. The four tracks saw Stereo Honey show they could even explore pain and tragedy through expertly crafted synthpop. “We’ve got this track… called 'The Bay', and I grew up in the North and my grandparents used to have this caravan on Grange-Over-Sands near Morecambe Bay. I used to play there when I was a kid on the beach and the tide’s really dangerous, like, it comes in like a pincer, and in 2004, 23 Chinese migrant workers drowned. This year, Stereo Honey have continued to explore the human condition through a sequence of high calibre singles including ‘What Makes A Man’, ‘You’re The One’ and the stunning new song ‘Don’t Speak’ which has just been dropped four days ago. Showing all the signs that they are building towards releasing a debut album, it seems like 2018 will be the year they make good on all the press and breakthrough into the mainstream. 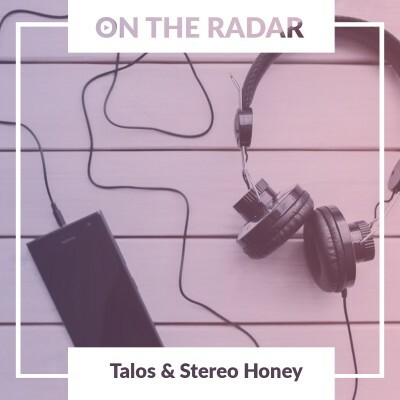 Make sure you see Stereo Honey when they appear at Truck Festival which is located at the idyllic Hill Farm in Steventon, Oxfordshire which runs from Friday 20th until Sunday 22nd of July. Plus, they have announced their very own Autumn tour with tickets on sale with Gigantic right now! Stereo Honey tickets are currently available.